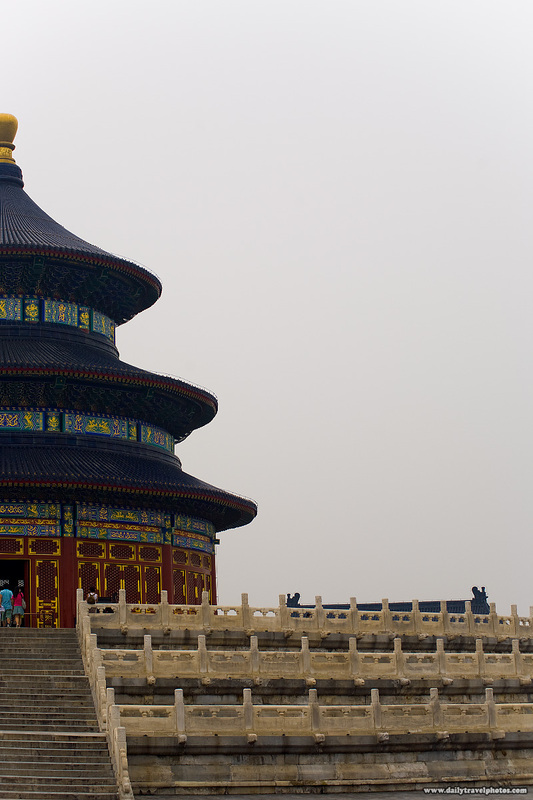 The beautiful Temple of Heaven in Beijing built for ceremonies to pray for a good harvest (ARCHIVED PHOTO on the weekends - originally taken 2007/08/05). The lifeless, colorless sky is typical of a smog-filled Beijing afternoon. It should come as no surprise that Beijing is one of the top 20 most polluted cities in the world (as measured in year 2004). The Chinese government pulled all manner of draconian shenanigans during the 2008 Olympics to clear up the sky including alternately allowing cars to drive based on the last digit of their license plate and a desperate technique in which clouds were "seeded" to help encourage rain to smother the smog. Anything to save face while on the world stage. 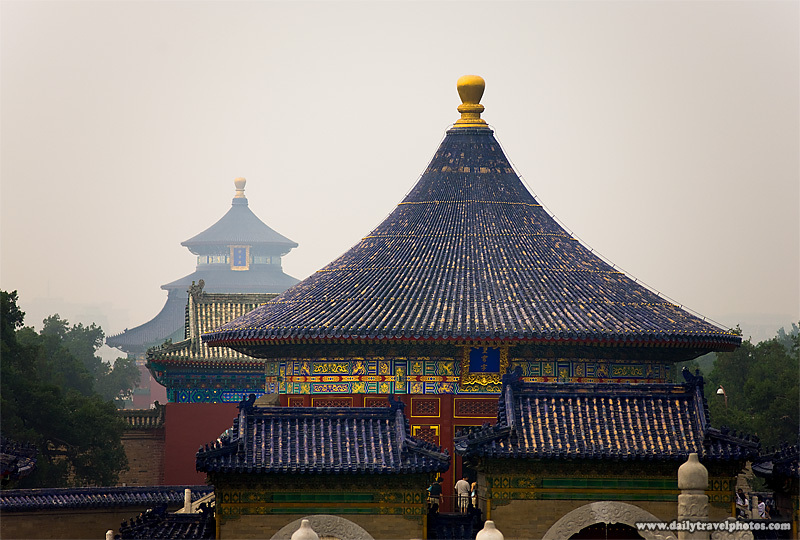 The Temple of Heaven complex of Taoist buildings (ARCHIVED PHOTO on the weekends - originally taken 2007/08/05). Tomorrow, real-time photos of Egypt continue. See you then!